MyMemories Blog: Meet feature designer Magical Scraps Galore! 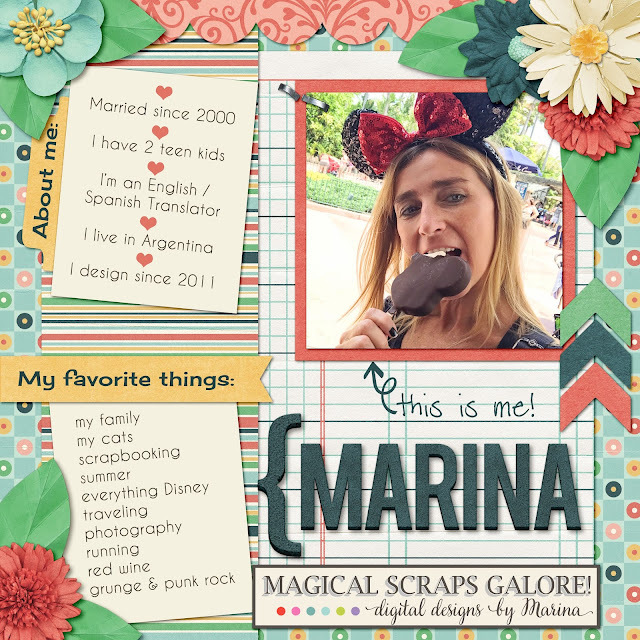 Meet feature designer Magical Scraps Galore! My name is Marina and I’m the creative brain behind Magical Scraps Galore. I live in Argentina with my husband Peter and our two teen kids: Emilia (17) and Andrés (16). I’m an animal lover! I have two cats: Calla and Ron. I’m addicted to my computer and my DSLR camera. I take my camera everywhere and I can’t seem to have enough pictures of my kids! Good excuse to keep on scrapping! I love traveling. 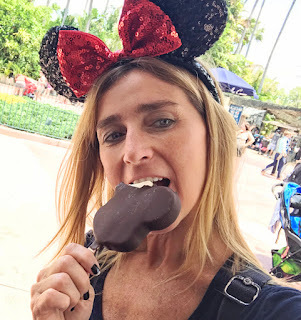 I love our family trips to Disney World every other year. I’m a runner and I love to work out. I love dark chocolate, red wine, and my daily dose of grunge music. I first began traditional scrapbooking back in the 1990’s, until I discovered digital scrapbooking in 2004 and I got hooked. I started designing in 2011. My style is traditional and colorful, and I love designing theme park inspired kits. And I’m fascinated by colors (though I tend to always dress in black, go figure!). I find my inspiration everywhere: my kids, a photograph, a color swatch … I have to admit that I spend too much time on Pinterest too! I love this creative journey and I’m really honored to be a small part of the legacy that you will be leaving behind in your scrapbooks.